Just as remakes of classic movies and remixes of old songs continue to find new audiences, this is a refreshingly engaging book that is a different take on the back story of familiar mythological characters of Shiva and Sati. The second in this trilogy written by Amish is already in bookstores so a review of a page turner, bestseller seems a little dated. However I was captivated by the story and the story-telling. Here is another writer from IIM who writes from the heart and reaches the reader (and not from the head who aims for his bank balance). 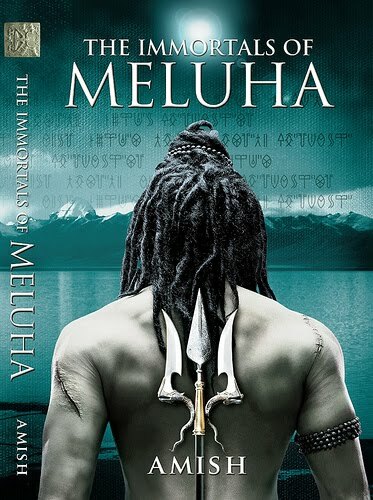 The story of tribal leader Shiva who moves his tribe from the harsh environs of their village situated near Lake Mansarovar to the wondrous land of Meluha is a fast-paced tale set in 1900 BC but very much resonant of the times we live in. Amidst order and wealth and good governance, the people of Meluha, immortal as a result of their access to the technology of making somras, the elixir of immortality, suffer from the uncertainty of terrorist attacks that strike unannounced. In a society where science is amazingly advanced, the people still believe in the legend of the Neelkanth, the person whose neck will turn blue upon consumption of somras, the savior who will restore peace. Shiva's arrival in Meluha and his consequent discovery as being the Neelkanth puts him in the difficult predicament of fulfilling a destiny that is unknown to him. It is refreshing to see his ambivalence at being received as a savior, a title that is uncomfortable at best. His love for Sati, the daughter of the king of Meluha, Daksha, is described with great sensitivity and restraint. The war scenes are vividly narrated. In fact, the whole book is an easy read due to the short chapters and even shorter scenes. It almost reads like a play. In short, a wonderful book, that I highly recommend to readers of all ages. Awesome one Ranjani. Missed your reviews. Where have you been ? And - Please please…please do join the FB page for more updates. 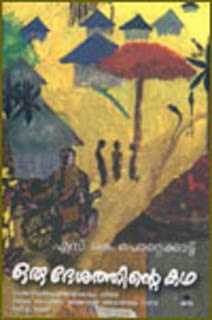 We would like to send our books for review in your blog. We are a leading publishing company and venture into all categories of Books. Attaching a company profile for your perusal. You can also visit www.leadstartcorp.com .